When performance under pressure is critical, why take the risk? When it comes to pipelines and pressure vessels, you need to be confident that your steel and bolts are up to the task. ACRS provides expert and independent certification of steel and bolts to: • AS/NZS 1252.1:2016 - High-strength steel fastener assemblies for structural engineering - Bolts, nuts and washers Technical requirements • AS/NZS 1594:2002 - Hot-rolled steel flat products • AS/NZS 3678:2016 - Structural steel - Hot-rolled plates, floor plates and slabs • AS/NZS 5100.6:2017 - Bridge design - Steel and composite construction • AS/NZS 5131:2016 - Structural steelwork - Fabrication and erection • AS 3597-2008 - Structural and pressure vessel steel - Quenched and tempered plate ACRS certification provides you with confidence that the steel and bolts you choose meet the Standards and are up to the task. TERMS AND CONDITIONS This publication is published by Editorial and Publishing Consultants Pty Ltd (the “Publisher”). Materials in this publication have been created by a variety of different entities and, to the extent permitted by law, the Publisher accepts no liability for materials created by others. All materials should be considered protected by Australian and international intellectual property laws. Unless you are authorised by law or the copyright owner to do so, you may not copy any of the materials. The mention of a product or service, person or company in this publication does not indicate the Publisher’s endorsement. The views expressed in this publication do not necessarily represent the opinion of the Publisher, its agents, company officers or employees. Any use of the information contained in this publication is at the sole risk of the person using that information. The user should make independent enquiries as to the accuracy of the information before relying on that information. All express or implied terms, conditions, warranties, statements, assurances and representations in relation to the Publisher, its publications and its services are expressly excluded save for those conditions and warranties which must be implied under the laws of any State of Australia or the provisions of Division 2 of Part V of the Trade Practices Act 1974 and any statutory modification or re-enactment thereof. To the extent permitted by law, the Publisher will not be liable for any damages including special, exemplary, punitive or consequential damages (including but not limited to economic loss or loss of profit or revenue or loss of opportunity) or indirect loss or damage of any kind arising in contract, tort or otherwise, even if advised of the possibility of such loss of profits or damages. While we use our best endeavours to ensure accuracy of the materials we create, to the extent permitted by law, the Publisher excludes all liability for loss resulting from any inaccuracies or false or misleading statements that may appear in this publication. About the Cover Constructed in partnership with Sustainability Victoria and the Victorian State Government as part of its Resource Recovery Infrastructure Fund, Future Recycling’s new $4.5 million Pakenham sorting and transfer station facility also stands as an ideal example of the benefits of good planning, foresight, and a focus on market-driven recycling. Turn to Page 10 for the full story. struggling to feed due to drought - through to total devastation of homes, businesses and in some instances, entire towns or large CBD areas, as is the case with any major disaster, the true toll of a major flood is almost impossible to calculate. With that in mind, I believe that it’s time that we seriously start to consider stormwater management on a much larger scale – for instance, a state-wide or even national scale. Much of our great nation is sorely lacking in water for much of the year and as a result, is massively under-utilised and under-productive. At the same time, large areas are inundated by floodwaters with alarming regularity. What’s more, climate science provides clear evidence that extreme weather events will continue to occur with increasing regularity. Governments are stuck in a seemingly never-ending cycle of having to spend hundreds of millions of dollars repairing and rebuilding infrastructure after each of these major flood events, and it looks set to only get worse. Access to water is perhaps the single most important factor increasing the habitability and productivity of any area. I believe that the time has come for us to develop and implement a plan to capture and/or redirect and harness this stormwater to help 'open up' Australia's interior while at the same time, drought-proofing much of the country. I’m well aware that this is an idea that has been floated in various guises for more than a century, mostly to be dismissed as either being too expensive, or for that matter, a pointless exercise for a country with a small population such as ours. However, our population, and the planet's population is growing at an extremely rapid rate. It's not only about having somewhere to live - everyone has to eat. This would be a 'Nation Building' project in every sense of the word, providing an opportunity to create a massive agricultural economy. Growth ONLY EVER comes from investment. This WILL cost many tens of billions of dollars. However, in a country with an annual welfare bill of more than $150 billion, the tens of thousands of jobs that this project would create (both during construction and ongoing), together with massive long-term economic benefits that a plan like this can deliver for generations to come – including for many remote indigenous communities - makes it an excellent investment. I firmly believe that the time has come to take a 'big picture' approach, and that this is a discussion that we need to have. Garwood International has been at the forefront of specialised waste collection & compaction equipment design and manufacture for over 42 years, providing high quality, innovative equipment solutions to meet the needs of even the most challenging operating environments. • Rear, Side & Front Loading compaction units • Single and split-body collection vehicles from 4m2 to 33.5m2 • VWS Enviroweigh bin weighing equipment for refuse vehicles Never afraid to ‘think outside the square’, Garwood International has built its reputation on innovation - with ground-breaking designs and smart solutions that can change the way you think about your collection services. PepsiCo ANZ partners with REDcycle to convert chip packets in to furniture, bollards, signage and more PepsiCo ANZ has partnered with REDcycle to encourage consumers to recycle their chip packets. REDcycle processing partner, Replas, converts soft plastics in to a range of sturdy products – from fitness circuits, outdoor furniture, bollards and signage. Consumers can drop off their chip packets and other soft plastics at participating supermarkets across Australia knowing that they will be used to produce a huge range of recycled products. PepsiCo ANZ has made a commitment to purchase recycled-plastic products annually and will donate these to parks, public places and schools. Janine Cannell, PepsiCo ANZ Environment Manager said, “We are so pleased to be working with REDcycle, this is a great opportunity for us to recover what would otherwise go to landfill and use the recycled materials to better the communities we operate in.” REDcycle Director, Liz Kasell, commented, “We are delighted to have PepsiCo as REDcycle partners, and we look forward to seeing what we can create together using recycled materials.” PepsiCo is focused on delivering sustainable long-term growth while leaving a positive imprint on society and the environment – it is a global principle called Performance with Purpose. One of PepsiCo’s global Performance with Purpose goals is to strive to achieve zero waste to landfill in direct operations through efficient and responsible waste management by 2025. PepsiCo’s partnership with REDcycle complements their current strategy to design out waste by minimising the amount of materials used in packaging and to help build a circular economy by promoting recycling. Converting soft plastics and toner into ‘TonerPlas’ asphalt additive Recycling innovator Close the Loop recently unveiled an upgraded manufacturing facility that could divert two-thirds of Australia’s 300,000 tonnes of waste soft plastics sent to local landfill annually. The new manufacturing line in Melbourne produces TonerPlas - an asphalt additive that contains the equivalent of 530,000 recycled plastic bags, toner from more than 12,000 recycled cartridges and 168,000 glass bottles in every kilometre of two-lane road. In conjunction with Downer, roads featuring TonerPlas have already been laid in Melbourne and Sydney. all the waste from this building back to our warehouse, everything,” said Golotta. “You had to see it to believe it. I looked at this waste and thought ‘this is just one house’ and we build 10,000-12,000 homes a year in this state.” “For one who rarely gets excited, it has excited me about what we can achieve in this industry on the recycling side of it.” The construction and demolition industry produces more than 31 per cent of Australia’s waste, sending 7.1 megatons of waste to landfills each year. Golotta said the construction industry can only benefit from Pre-Cycle’s business model. “80 per cent of what we take from the building site doesn’t go to landfill and gets reused in some way,” said Golotta. “We go once a stage of construction has been completed, the builder leaves the excess in one pile and we take it away. There’s no sorting, in our system that’s not required so you’re saving a ton on energy. As far as we’re concerned its green all the way around.” “The site stays spotless, you won’t even find a nail on the ground. It becomes very work safe oriented, it’s a win-win for everything,” he added. Pre-Cycle makes a profit whilst saving builders money as they move on excess building waste for less than the standard cost of a six cubic-metre bin. A typical house construction can fill six large bins, costing up to $3,000. Golotta said he can reduce this waste to one bin and charge a third less, saving the construction company thousands of dollars and 30m3 from landfill. The South Australian government, which released a report last year predicting a circular economy could create more than 25,000 jobs by 2030, has studied Pre-Cycle’s model but has yet to release its findings. “With their backing, it gives us a bit more ammunition to get out there and promote it,” said Golotta. “They’re all very excited, everyone that has been involved, they’re just blown away at how simple this process is and how effective it is at such a low budget and low cost.” “We’ve been authenticated and authorized. We’ve been really looked at through a microscope and have come out of it smelling roses, so it gives us a lot of confidence and strength.” Golotta plans to spin Pre-Cycle off from Premier Insulation as a stand-alone business. “For an old dinosaur like me, who never thought about this type of thing and generally was thinking about retirement, let alone starting up a new branch of my business, it has sort of given me a new lease on life,” he added. While this might seem like an easy fix, some Britons have gone one step further - with some people reporting that keen-eyed teens are seeing the chance to make a quick profit off desperate households. Jamie 38 from Leeds admitted: “When some local kids offered to sell me a ‘spare’ bin for twenty quid, I didn’t think twice. I needed the space and where they got it from isn’t really my problem. I’ve seen people Facebook groups selling them so loads of people must be doing it.” While this might seem like a bargain, with brand new bins costing between £50 and £150, it seems some of these wannabe entrepreneurs are simply turning to theft to make some cash, stealing bins from other homes in the areas, including empty houses and those whose residents are on holiday. Of course, thrifty Britons might like to avoid bin-related issues altogether - and save themselves some cash. Mark Hall, BusinessWaste.co.uk spokesperson, commented: “While it could be tempting for households to ‘acquire’ another bin, by legitimate - or otherwise - means, there’s plenty that can be done to reduce the load in their main rubbish bin. Ensuring proper recycling can often see a dramatic reduction in the waste going to their main rubbish bin - which goes to landfill instead of being re-used - and, once it’s part of your routine, it takes no time at all.” “Just recycling your cardboard and plastics - which is now simple and accommodated by councils across the UK - can reduce your main bin loads by up to 60%, meaning that you’re not struggling when it comes to fortnightly collections.” Of course, avoiding rubbish piling up in your garden isn’t the only goal. “While it will benefit households to recycle more, because they won’t find themselves struggling for space, it is also a much wider issue,” Hall added. “Not only will it help local authorities, who struggle with high landfill fees and penalties for poor recycling rates, meaning you can help avoid further cuts to services, it is also an environmental issue.” “Every single piece of rubbish that goes to recycling rather than landfill, particularly plastics, has a cumulative effect that can help slow the damaging effects of rampant waste disposal. We can make an enormous difference by making tiny changes to our routine - it’s time we actually made those changes,” he said. Graphic representation only. Actual detection field may vary due to end users requirements. hile there can be no doubting the major challenges currently facing the Australian recycling and resource recovery industry – including significant reductions in commodities prices and the challenges of China’s Green Sword policy - Melbournebased recycling specialists Future Recycling are continuing to go from strength-to-strength. Indeed, in what has become the latest chapter in this recycling success story, Future Recycling recently opened a new multi-milliondollar transfer station facility in Pakenham in Melbourne’s outer south-east. Top: (L-R) Cr Graeme Moore, Mayor Cardinia Shire Council; Jordan Crugnale MP, Member for Bass; and Mr Tyrone Landsman, Managing Director, Future Recycling officially open the new facility. Left: Jordan Crugnale MP, Member for Bass learning how clean concrete and brick material is separated in preparation for road base rock crushing at the inert processing plant. Below: Jordan Crugnale MP, Member for Bass addresses invited guests to the official opening of the new Future Recycling Transfer Station at Pakenham. as possible from waste streams to avoid landfill. We also want to ensure that we are generating high quality recyclables streams that meet market expectations.” The site will be supported by bin hire, metal recycling, scrap metal and other resource recovery services. The traffic flow in the site is well-planned as all deliveries are directed by waste-stream to aid recovery and ensure efficiency. “We always strive to provide a comprehensive service that is tailored to our customers’ needs, while at the same time, ensuring that we’re safe and innovative in our approach,” he said. “We are really proud of our new transfer station, and we thank Sustainability Victoria and the State Government for working with us on this project,” he added. The transfer station will provide the local community and businesses with a better option for disposing of their waste and has also created ten full-time jobs with more in the pipeline as the business expands. While the facility will initially process around 15,000 tonnes of material per annum, it has been designed to cater for up to 100,000 t/pa, with the future addition of a walking floor in the receival pit and a TransPak compactor. “With the copper component sorted, we’re also now working on finding a home for the recovered PVC Plastic from the cable, which will enable us to recycle all of the electrical cable,” he added. “Rather than simply ‘giving up’ on products that could no longer be exported to China, we set out to find new and innovative ways to process those products into value-added materials streams for which there is an alternate market,” he said. “With that in mind, in 2017 we purchased and installed a Copper Granulator to process PVC Electrical Cable that was included on China’s banned imports list.” “Thanks to this equipment, the copper can now be sold directly into smelters in Australia and overseas,” he said. Scrap and offcut PVC cable from various sources (including manufacturers, contractors and material collected through the Transfer Station) is taken to Future Recycling’s Dandenong facility for processing. The Copper Granulator uses a number of processes to remove and separate the insulation and casing materials from the copper, leaving an extremely clean, high value material ready for recycling. From its humble beginnings in 2008 as Future Metals – a scrap metal recycling company based in Shepparton in northcentral Victoria - Future Recycling has grown to become a leader in resource recovery and recycling in Victoria, with clients ranging from Mums and Dads, Tradies, Contractors, Small to Medium Size Business, Large Commercial Clients and Local Government. Every year Future Recycling diverts over 200,000 tonnes of product from Landfill Sites across Victoria by utilising a modern fleet of 30 collection vehicles, across 4 Sites operated by 70 personnel. The Future Recycling business includes the Future Recycling Transfer Station in Pakenham, Future Recycling Metals in Dandenong, Hallam and Shepparton, and Future Recycling Bin Hire. Not surprisingly, the company’s strengths lie within its focus on safety, service, innovation and environmental responsibility. All Future Recycling business divisions are accredited and certified ISO9001 Quality, AS/NZS4801 Safety and ISO14001 Environmental Standards. In addition, Future Recycling is also currently the only Australian Waste Management company to be Certified Carbon Neutral. Future Recycling Metals is a professional and modern metal recycling business. It has become an industry leader in scrap metal recycling - providing safe, efficient and environmentally sustainable metal recycling of all ferrous and non-ferrous metals. Future Recycling Metals also provides a complete metal collection service. Future Recycling Bin Hire has gained an enviable reputation as an efficient, professional and reliable company for skip bin hire and rubbish removal. Future Recycling Bin Hire provides daily deliveries and pick-ups of skip bins ranging in size from 4m³ to 23m³ across Melbourne’s outer south-east and surrounding areas. Materials Handling Machines (fitted with an Orange Peel Grab) at the Dandenong metal recycling site. “We’re very happy with our Sennebogen machines,” Tyrone said. “They’re high quality, purpose-designed machines that are robust and extremely reliable, and the operators love the elevated cab position. It makes picking up and placing the materials significantly easier.” “Importantly, the service that we get from Byron Judd and his team at Pacific Materials Handling is also excellent. We’ve been dealing with them now for a number of years, and whether it’s supplying machines and accessories, servicing, parts or after sales service, they’ve always been extremely friendly, helpful and efficient,” he added. Since 1986 Paciﬁc Materials Handling have successfully provided quality and globally renowned capital equipment to customers throughout Australia on a sales or rental basis with the emphasis on being able to provide excellent service support. Sennebogen has been oﬀering the largest range of purpose built material handling machines since 1952. Sennebogen oﬀer material handling machines suitable for the waste industry ranging from 20t to 60t, with a maximum reach up to 20m. Suitable in a variety of waste applications: paper, wood, commercial and household waste, tyres, scrap and demolition waste. The growing problem of e-waste recycling: Where to go for Australian businesses? Australia’s unquenchable thirst for new technology is matched to its growing volume of electronic waste (e-waste). According to the Global E-waste Monitor published by the United Nations University, current estimates suggest the world’s population is on track to generate 60 million tonnes of e-waste by 2021. A considerable portion of this is business IT equipment, made up of computers, laptops, printers and multifunctional devices. was launched, seeking to mitigate the environmental impact of electrical products. In seven short years, more than 1,800 collection services have been made available and in excess of 230,000 tonnes of TV and computer e-waste has been collected and recycled. This is more than the weight of Melbourne’s iconic Eureka Tower standing 91 floors above the city at an impressive 301 metres. Over this time, more than 90% of materials recovered under the Scheme have been recycled. TechCollect is Australia’s only notfor-profit Co-regulatory Arrangement operating under the NTCRS. Governed by the Australia and New Zealand Recycling Platform (ANZRP), their approach is to ensure Australians have access to convenient, secure and responsible e-waste recycling. Key to this is their recycling partner network operating to the highest grade with strict adherence to the standards of collection, storage, transport and treatment of collected e-waste. Doing the right thing As pressure mounts on organisations to reduce waste and maximise reuse and recycling opportunities, facility managers need to remain diligent with their efforts to ‘go green’. As a 21st century phenomenon, the effective management of e-waste is pivotal. In addition to the growing importance of upholding a strong corporate social responsibility reputation, sending e-waste to landfill will soon be a legal offence in Victoria, as the state-wide e-waste ban comes into effect on 1 July 2019. A problem requiring multiple solutions: managing your e-waste responsibility No ‘silver-bullet’ exists to help you achieve a smart, sustainable and efficient approach towards your organisation’s e-waste recycling. Here are some suggestions you might consider: •	Develop an e-waste strategy: Help avoid the unwanted build-up of stock by identifying the problem (possibly through an e-waste audit) and putting forward a workable plan to address your site’s requirements. By identifying the potential waste stream, you can make sure you are prepared to manage it appropriately. •	Make life easy: Focus on implementing a solution that makes it easy for people to embrace responsible recycling. Adopting the KISS principle, ensure processes are simple to follow, receptacles are easily identifiable, and communication is kept clear and concise. •	Select reputable recycling partners: Protect your brand. Always ensure strict standards for downstream vendor processing and materials traceability are adhered to. This should include, at a minimum, compliance to the Australian standard for e-waste recycling (AS/NZS 5377:2013) as well as HSE legislation. •	Clearly define the scope: To gain the benefits of a well delivered program, it is recommended users are familiar with inclusions and limitations of the service. Clear communication and appropriate collection systems are vital. •	‘Clean the decks’: Work with your team to create specific campaigns helping collect and recycle e-waste. One such example is the implementation of a ‘Clean the decks’ initiative - a one-off collection drive to help facilitate the responsible handling of e-waste and educate staff. •	Call TechCollect: ANZRP-TechCollect is happy to provide assistance in the development of effective e-waste management and communications campaigns to support better e-waste recycling services. Technology achieves full nitrogen removal in less than two hours The Oro Loma Sanitary District in San Lorenzo, CA in the USA, has partnered with Microvi Biotech, Inc. and WesTech Engineering, Inc. to showcase a large-scale demonstration of the Microvi MNE™ solution for Oro Loma’s wastewater treatment plant. The demonstration’s primary objective was to tackle increased nitrogen discharge limits that are expected to be implemented over the next decade in the San Francisco Bay Area. The district is using the demonstration to proactively evaluate cost-effective, innovative technologies to meet these projected effluent limits, possibly as low as <6 mg/L total nitrogen (TN). Installed in April 2018, results from the demonstration show that the combined nitrification-denitrification process can achieve effluent levels consistently below 3 mg/L and even as low as 1 mg/L TN from influent ammonia (NH3) concentrations as high as 45 mg/L. These results occur with a retention time of under two hours, and little to no biosolids are produced. This result is unprecedented, compared to available technologies for nitrification. The next phase of the Oro Loma demonstration will focus on side-stream treatment of ammonia concentrations as high as 500 mg/L. “Microvi’s technology is compelling because it allows us to meet potential future nitrogen limits while making the most of our existing treatment facilities at Oro Loma. In the Bay Area, treatment requirements are expected to tighten, and many plants have no room to expand. We need to find solutions to make existing facilities meet our future needs,” said Jason Warner, General Manager of Oro Loma. “We are excited to partner with Microvi and WesTech to implement innovative technologies to help improve the quality of the water in the San Francisco Bay.” Microvi MNE is the next generation biological process for water and wastewater treatment. The solution combines groundbreaking Microvi technology with proven WesTech process equipment for a costeffective approach to biological treatment. This demonstration is a single pass system that requires minimal operation time and maintenance, while eliminating the need for biosolids treatment and disposal. Customized integrations of the process for various applications have provided consistent BOD/COD removal, nitrification and denitrification. The process has a significantly smaller footprint, minimal biosolids production, reduced pumping requirements, and reduced energy costs. The solution is operatorfriendly, stable, robust, and can be used in existing infrastructure. The Microvi technology uses novel biocatalytic composites (biocatalysts) that intensify biological processes, while maintaining a controlled population of targeted microorganisms at a much higher density than existing technologies. Despite the complexity of the MNE biocatalysts themselves, the design and operation of the systems are simple. Microvi’s technologies have been implemented in the U.S., Australia and the U.K. for drinking water, municipal wastewater, and industrial applications. Soil health in South Australia is getting a boost thanks to a partnership between Australian Vermiculture, the country’s largest worm casting producer, and South Australian leader in rural services, Platinum Agricultural Services. With a focus on soil, plant health and sustainability, Australian Vermiculture was founded from humble beginnings in the NSW town of Broken Hill. Founder, Brendon Price notes, “For something like soil biology, that has so long been conveyed as so complex, our solution has been simple, the humble worm.” Trials, research and development work in the early 2000’s was conducted in the Millewa region, west of Mildura, VIC. The farming conditions are incredibly harsh and yet, where Australian Vermiculture products were used, the plants thrived and success saw fertilisers being replaced completely in many broadacre cereal and legume programs. Mr Price attributes this success “to the replacement of endemic microorganisms that symbiotically live with plants feeding off the exudates in roots and in return feeding nutrients directly to the plants.” This exciting partnership will initially see over two thousand tonnes of Australian Vermiculture’s pelletised worm castings acquired for Platinum Agricultural Services’ clients. They will cover a range of crops from fruit & vegetables to cereal crops and pastures. Australian Vermiculture’s, Technical Consultant, Xavier Smith, said he believed the synergies in the partnership will support the development of growers understanding of biological farming practices whilst allowing them to work specifically with local farmers to improve the benefits in soil regeneration as well as the end produce. “As we move forward, we will begin to pin point exactly what the specific functions these microorganisms are having on our soils as well as in our end produce,” Mr Smith said. “It has been well known for a long time the efficacy of using vermiculture based products in home gardens, but to develop and be able to commercially provide a product that positively affects soil health and regularly improves yield, has the potential to be a game changer in the agricultural and horticultural sectors.” “We’ve only scratched the surface uncovering the benefits of using vermiculture products in farming systems,” he said. “We know it increases yield and increases consistent nutrient uptake, for example, Phosphorous. We also know that having biologically balanced soil minimises risks of soil-borne diseases like Pythium,” Mr Smith added. “Securing this partnership and working alongside a leader in the industry, with a network of Agronomic specialists, allows us to continue to unlock the benefits of vermiculture in farming and we look forward to seeing further positive results for Platinum Agricultural Services’ clients.” General Manager of Platinum Agricultural Services, Peter Cook, says, “Our existing relationship with AV, has enabled us to market this product exclusively for Platinum Agriculture Services’ clients.” “We are excited about the product, given the market testing through a number of trials with SA-based growers has consistently produced an increase in yield. The potential of increased production and healthier soils for growers across a broad range of crops is something we are very interested in,” Mr Cook concluded. Metal invention strips impurities from wastewater It may look like a simple piece of alfoil, but when added to wastewater this high-tech strip of iron can remove impurities like dyes and heavy metals in just minutes. Researchers at Edith Cowan University have found a way to modify the internal structure of iron-based alloy to develop a new type of crystalline alloy capable of stripping contaminants like heavy metals, dyes and other organic pollutants from wastewater. Lead Researcher Associate Professor Laichang Zhang from ECU’s School of Engineering said the technology could have significant applications in the textile and mining industries. “Mining and textile production produces huge amounts of wastewater that is contaminated with heavy metals and dyes,” he said. Cost effective “We can produce enough crystalline alloy to treat one tonne of wastewater for just $15. Additionally, we can reuse the crystalline alloy up to five times while still maintaining its effectiveness,” Professor Zhang added. This offers significant advantages to the traditional method of treating wastewater using commercial iron powder. “Firstly, using iron powder leaves you with a large amount of iron sludge that must be stored. Secondly it is expensive to produce and can only be used once,” Professor Zhang said. When added to wastewater the high-tech strip can remove impurities like dyes and heavy metals in just minutes. Titanium Submersible Solution Australian Pump has an innovative solution for handling corrosive wastewater spilt during transfer at sewage collection stations. Originally designed for marine applications, Tsurumi titanium submersible pumps are being successfully installed in the containment sumps. Sydney Water’s sewage collection station at Douglas Park, south west of Sydney, is emptied by tanker on a daily basis. The large spill containment pad ensures any corrosive sewage leaked during the transfer is collected in the sump pit. Ferric chloride is added to sewage in the holding tank for odour control. As a result, the collection pit needs a pump that can handle corrosive liquids. Sydney Water is now specifying Tsurumi TM series titanium submersible pumps for the drainage sump. Tsurumi’s TM series are particularly suitable for applications where corrosion is an issue. The stator housing is titanium whilst the pump casing, stand and motor cap components are all manufactured from FRP resin moulded material. Although the range was originally designed for seawater it has proved to be ideal for highly corrosive chemical applications in food and chemical plants. The pumps are compact in design and are available in single or three phase motor drive. They range from pumps capable of 240 lpm flow right up to 350 lpm. Heads vary from 9 m to 15m. The pump used in the Douglas Park station sump pit is a Tsurumi 50TM2.4S single phase submersible with flows to 290 lpm and a max head of 12m. The TM series feature a vortex impeller made from glass-fibre reinforced resin. An anti-wicking cable gland prevents water incursion due to capillary wicking should the power cable be damaged or the end submerged. A dual silicon carbide mechanical seal is protected in an oil chamber so neither seal face contacts the pumped liquid. This eliminates abrasion and facilitates cooling and lubrication of the seal faces. The oil chamber incorporates a patented oil lifter that ensures lubrication even if the oil level in the chamber drops. This increases the time between routine pump maintenance. Barry Cook, Sydney Water, installs a TM series titanium pump at the sewage collection station at Douglas Park to handle the sewage spills during transfer to collection tankers. A Smarter Solutionâ&#x20AC;Ś Introducing the new Clean Cube solar-powered compacting smart bin from Smart City Solutions â&#x20AC;&#x201C; the first bin of its kind to use a standard 120L or 240L MGB wheelie bin inside. Available in a choice of two sizes, the Clean Cube uses solar powered compaction to hold up to eight times more waste than a standard bin, while its smart technology monitors the fill level in real time, notifying operational staff when the bin needs to be emptied. And thanks to the fact that the Clean Cube uses either a standard 120 or 240 litre wheelie bin, emptying the bins is quick and easy, with no heavy carrying or lifting required. The Clean Cube also looks like no other bin! With solar-powered backlit ad panels and LCD screens, the Clean Cube can provide audio and video community messages or advertising opportunities. It can even be set up as a WiFi Hot Spot. Visit www.smartcitysolutions.com.au or call 0417 546 977 today and discover how we can deliver a smarter solution for your city. – for numerous (often hundreds) of bin lifts per shift, in all manner of ambient light and traffic conditions. The harsh truth is, it only takes a fraction of a second - a mere a moment of inattentiveness on behalf of someone outside the vehicle - for a serious accident to occur, and the consequences can be extreme… or even fatal. With that in mind, Superior Pak has worked with its customers to develop number of ground-breaking safety systems to help minimise the risk of injuries to anyone in the vicinity of the vehicle during the bin lift cycle. or object moves into the zone while it is active, the system will sound an alarm and bring the bin lift cycle to an immediate stop. The operation can only be recommenced once the driver acknowledges the alarm and checks that the Bin Lift Zone is clear. All alarm events and acknowledgements are logged and recorded within the on-board control to assist with monitoring and reporting. In keeping with its ‘holistic’ approach to safety, Superior Pak has also placed an emphasis on making the operator’s job easier, which in turn, makes it easier for them to focus on the surroundings. This has been achieved by automating and simplifying the bin lift and tip cycle. Rather than requiring the operator to activate separate controls to lift, angle, tip and return the bin during the bin lift cycle, Superior Pak’s new Front Loader Auto Bin Lift and Tip System significantly reduces the complexity of the lift cycle for the operator by automating a number of functions. As well as helping to improve consistency and efficiency across all collections and routes, the Auto Bin Lift and Tip System helps to improve safety – by enabling the operator to focus more on their surroundings rather than focusing solely on bin lift and tip operations. Safety for Front Loader operators has also been further enhanced through Superior Pak’s new Wireless Bin Lift System, which has been specifically designed for situations where the operator has to get out of the vehicle to move a bin out from an inaccessible position. Rather than having to get back into the truck to access the in-cab controls, the operator is able to stand outside the vehicle and operate the bin lifter with the wireless remote control. Side Loader Pedestrian Detection System With Side loader vehicles primarily used for domestic bin collection, they are generally operating alongside footpaths, which comes with a high risk of pedestrians entering the operation zone while the bin is being emptied and being injured during the bin lowering phase. To address this risk, Superior Pak has developed a system which creates a detection zone around the bin lifter and grab arm during the bin lift cycle. Known as the Side Loader Pedestrian/ Object Detection System, this patented system utilises a small, high-performance radar sensor originally designed for use in heavy-duty applications such as construction and mining to create a ‘Bin Lift Zone’ measuring 1000mm wide x 2000mm deep. Chosen for its ability to detect multiple stationary and moving objects of various characteristics simultaneously, the rugged sensor is also fully-sealed (to meet IP69K standards) and is able to withstand shocks, vibrations and the severest of weather conditions. Toyota forklifts leading hydrogen charge Toyota Material Handling Australia (TMHA) has put the first Toyota hydrogen fuel cell-powered forklifts outside of Japan into action at its Australia's parts centre located at its former manufacturing plant at Altona, Victoria. The zero CO² emission Toyota hydrogen fuel cell (FC) forklift demonstration is an extension of Toyota's simultaneous trial for its Mirai fuel cell electric vehicle (FCEV), which share the same hydrogen-powered technology. The Toyota hydrogen FC forklifts - with a nominal rating of 2,500kg lift capacity - take pressurised hydrogen which is fed into a fuel cell stack, where it is combined with oxygen to create a chemical reaction that produces electricity to drive various motors depending on demand for motive power or hydraulic power for steering, braking or lifting loads. to Toyota Material Handling Australia from Toyota's automotive arm. “We at TMHA are committed to constantly developing new and better technologies that raise the bar in terms of safety, performance, efficiency and sustainability, which will ultimately benefit our customers.” “These hydrogen FC forklifts are a clear demonstration of our commitment to the environment through the adoption of new and sustainable technologies. 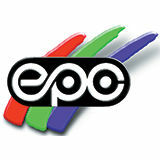 They have excellent environmental credentials as they do not emit CO² or substances of concern (SOCs) during operation. The Toyota hydrogen FC forklifts and Mirai are not currently for sale in Australia mainly due to a lack of hydrogen refuelling infrastructure. the waste streams, and recovering valuable resources at the site. Wherever waste from cast iron, steel, light metals and nonferrous metals is produced, as well as slag and foundry soil from non-reusable moulds and cores, MB Crusher Buckets manage the complete recycling cycle directly on site, even within the plant itself. The handy compact models of the MB range have been specially designed to fit closed or small environments. With experience in thousands of plants around the world, MB Research & Development objectives are clear: to develop a range of versatile, on-site solutions that are both reliable and easy to use. The Crusher Buckets and Screening Buckets are installed directly and quickly on the heavy equipment, like any other attachments. Casting waste, fine castings, metal sprues and all other types of slag are crushed and screened, allowing them to be immediately reintegrated in the production cycle. In this way waste immediately becomes a reusable and saleable An MB-LS170 screening bucket in action, sorting ferrous-waste by size prior to reprocessing. commodity, without the need for additional transport and/or off-site processing. Importantly, the data from facilities with MB crushing and screening equipment is clear: it is possible to recover and reuse more than 85% of the waste material and obtain, from this cost, a productive, economic and environmental advantage. With MB Crusher Buckets and Screening Buckets, work is managed in the plant with times and methods that are most profitable for the company, even taking advantage of the blast furnace's break times. The screening buckets can process huge quantities of material, quickly sorting it for different re-uses and providing quality material streams which, depending on the type of materials recovered, can either be reused in the production process, or used for other purposes such as construction and road works. Reducing disposal and replacing virgin materials with recycled resources is a true win-win for both the businesses and the environment. WASTE MANAGEMENT Whatever your waste management needs, GCM Enviro can provide you with the equipment and expertise that you need. From landfill compactors, shedders and compost windrow turners, through to state-of-the-art crushing and screening equipment, GCM Enviro has it all. Top quality equipment from world-renowned manufacturers. Titan’s ‘total tyre & wheel solutions’ approach helps to maximise safety When it comes to the safe operation of vehicles and equipment, the design, performance and condition of tyres, wheels and undercarriage components is of paramount importance. Indeed, for the majority of vehicles and equipment, any type of failure with the tyre, wheel or undercarriage will, more often than not, bring it to a stand-still. While few would argue that nonfunctioning equipment and vehicles can be inconvenient and expensive, problems caused by tyre and wheel failures can also represent a major safety risk for operators, site workers and road users alike. In short, whether it’s a car, truck or large piece of equipment travelling on the road network, or wheeled or tracked construction, mining or agricultural equipment, good quality wheels and tracks which are fit for purpose, well maintained and in good condition, provide the stability and control required to minimise the risk of accidents and incidents. Failures – especially at highway speeds or in situations where traction is critical – can, quite literally, spell disaster. extremely difficult to understand exactly what is going to happen at depths of several kilometres, and there will likely be some areas where risks are too high to proceed. “Each site and system really does need to be considered on a case by case basis.” This research compiled several hundred global scientific comparisons – from Australia, North America and Europe between the likelihood of impacts to surface and groundwater sources from producing shale gas, tight gas, and coal seam gas. “Our work synthesises global literature and fundamental scientific understanding to quantify the probability of impacts on water resources occurring,” explains Professor Simmons. Introducing gas production from unconventional reservoirs has led to widespread environmental concerns, amplified by difficult public access to trustworthy data on the likelihood of adverse impacts to their community. Farm dams good place to cut carbon emissions A Deakin University study quantifying the greenhouse gas emissions from farm dams shows they are a significant contributor to man-made climate change, but emissions could be cut in half with targeted changes to farming practices. The study, which was published late last year in Global Change Biology, sampled agricultural dams from regional Victoria and found that when combined they produce the same daily emissions as 385,000 extra cars on the state’s roads. Lead author Quinn Ollivier, a PhD candidate in Deakin’s Blue Carbon Lab, said while his study found farm dams had one of the highest emissions per square metre of all freshwater ecosystems, they were not currently accounted for in any greenhouse budgets. “We found that nutrient management in farming areas would result in a major reduction in C0²-equivalent emissions, so this is an enormous opportunity for government to work with landholders,” Mr Ollivier said. “Landholders may be able to reduce emissions by something as simple as re-plantation of native plants along dam edges, this could help to reduce the nutrients entering the dam and therefore the greenhouse gases coming out. “Our results showed that emission rates were linked with dissolved nitrate concentrations, and were significantly higher in livestock rearing farm dams when compared to cropping farm dams. “We estimate that by reducing nitrate nutrient levels by 25 per cent – through activities like minimising excess fertilisation and containing animal effluent – we may be able to reduce the emissions of some farm dams by up to half.” Freshwater ecosystems, like farm dams play a major role in global carbon cycling through the breakdown of organic material and release of greenhouse gases. “Put simply, the freshwater in farm dams creates a unique environment for microbes, and when all these little microbes munch on the plant and animal matter coming into the dams they breath out potent greenhouse gases, such as carbon dioxide, methane and nitrous oxide,” Mr Ollivier said. “Carbon dioxide and methane emissions from lakes, wetlands, reservoirs and small natural ponds, have been well studied, however the emissions of highly abundant, small-scale agricultural dams have until now remained unknown. “When it comes to farm dams, I think their small size has helped them stay under the radar both figuratively and literally. “Global satellite networks have only made it possible to correctly assess the distribution of farm dams in the last decade. In satellite images farm dams closely resemble a kind of chicken pox across the entirety of agricultural Australia.” As part of his study, Mr Ollivier measured 77 small agricultural dams within the Corangamite catchment area between Ballarat and Geelong. “By extrapolating this data to the whole of Victoria we can estimate farm dams produce greenhouse gas emissions more than three times higher than state-wide reservoir emissions in spite of farm dams covering less area,” Mr Ollivier said. In Victoria there are 375,000 farm dams, with a combined volume 1.5 times the Sydney Harbour. “While our data was gathered in Victoria, this is certainly a nationally-relevant issue and likely a global one too,” Mr Ollivier said. His paper was recently shared with the UN Intergovernmental Panel on Climate Change in Rome, and Mr Ollivier hopes the next step will see countries around the world pay closer attention to the emission impact of agricultural dams. “Previous estimates have put the global emissions of large freshwater reservoirs, such as for hydroelectricity and water storage, at around 7 per cent of all global human produced emissions, and our study suggests that farm dams may be emitting three times more carbon into the atmosphere than reservoirs,” Mr Ollivier said. “Not considering farm dams would therefore have a significant effect on country and region-specific carbon emission estimates, and is particularly applicable to Australia as we have a large agricultural industry.” This research was funded and carried out in collaboration with the Corangamite Catchment Management Authority. systems, that change to safer components will be a long and slow process. “There is no legislation in Australia which bans the use of lead in brass fittings, with standards allowing up to 4.5 per cent lead content in brass alloys used in plumbing, while the US and Canada limit its composition to 0.25 per cent, some 18 times smaller,” Dr Laws said. “The solution is not just replacing taps, but the entire aging plumbing network leading to your home. New legislation will only prevent extra lead being added to the network or as town-water infrastructure is upgraded to lead-free.” Dr Laws thinks the bright brass products may be available in a year once the R&D process is complete. Already, the company has been approached by others who are watching the lead-free plumbing space with interest. Engineering contractor SEE Civil installing the giant SPEL Stormceptor system as part of new drainage works at Gold Coast Airport. Gold Coast airport installs massive stormwater interceptor tank Another step in the expansion of Gold Coast Airport has been taken, with the successful installation of a giant new stormwater unit – the largest of its kind in the southern hemisphere. Installation of the unit is part of a suite of ground transport infrastructure project activities at Gold Coast Airport, initiated to divert trunk stormwater infrastructure around the footprint of the proposed Southern Terminal Expansion (STE), which is part of the $370 million Project LIFT redevelopment. The new stormwater alignment will service the new terminal, as well as the new 192-bed hotel that is due to be constructed on the airport precinct from the end of this year. Queensland Airport Limited (QAL) Executive General Manager of Property and Infrastructure Carl Bruhn said the new SPEL Stormceptor was designed to collect and treat an anticipated 96ML of stormwater run-off – equivalent to almost 40 Olympicsized swimming pools – from a catchment area of more than seven hectares per year. “The successful installation of the Stormceptor represents a significant milestone in the groundwork preparation ahead of construction of the new terminal and hotel precinct,” Mr Bruhn said. “Measuring 27 x 3.5 metres in length and weighing in at 13.3 tonnes, the Stormceptor is the largest system of its kind built by SPEL in Australia. “The new stormwater alignment diverts stormwater around the new terminal footprint, where it then enters the dual-chamber SPEL system which filters out pollutants including suspended solids, light liquids and gross pollutants prior to releasing the treated water back into the drainage channel. “This represents a win for the environment, while allowing QAL to progress with our exciting new expansion plans.” Installation of the Stormceptor was overseen by civil contractors SEE Civil alongside manufacturer SPEL, and involved the intricate placing of the giant structure to within millimetres of its designated resting area, six metres below ground level. “Our contractor SEE Civil used a 250-tonne crane to carefully lift the unit into place. The excavation for the unit removed 3700m3 of spoil to a final depth of six metres below surface level,” Mr Bruhn said. “It was a significant engineering feat to install this system and we thank our contractors, staff and everyone involved in the project for their outstanding professionalism.” The new system was commissioned late last year. The Project LIFT redevelopment will ensure the facility can accommodate future growth, with passenger movements expected to reach 16.6 million annually by 2037. World's largest façade installed with organic photovoltaics in the port of Duisburg Approximately 185m² of Heliatek's organic photovoltaic films have been installed on the façade of a warehouse of the Duisburger Hafen AG in Germany. It is a sub-project within the cooperation agreement "Drehkreuz Energiewende", which was established between the Duisburger Hafen AG and the energy company innogy in 2016. The trial installation has 192, 3-metre long HeliaSol® film panels, making it the largest facade installation to date with organic photovoltaics (OPV). HeliaSol® is an extremely lightweight, very thin and flexible solar film that is produced in an energy-efficient, roll-to-roll process in Germany. Equipped with a self-adhesive backing, the film can be applied directly to a variety of surfaces without further assembly efforts, and without affecting the structure underneath. With the project in Duisburg, the solar films were glued directly onto the metal facade of the warehouse. Ventilation or cooling is not necessary as the films do not lose power or efficiency at high temperatures, unlike crystalline solar technology. The solar films cover an area of approximately 185m², and generate about as much energy as a 5-person household would consume annually. Due to the efficient use of materials and manufacturing process, the solar films produce 80 times more energy over their lifecycle than is needed to produce them. When compared to the CO2 emissions of various other types of energy production, Heliatek's solar films claim to provide the lowest CO2 footprint, with 20g CO2 per kWh. for major industries and in logistics. Alexander Garbar, Project Manager Corporate Development, Duisburger Hafen AG, states: "With completion on this, we have achieved yet another sub-project. Heliatek's photovoltaic solution is really fascinating, and we are pleased to have brought a German manufacturer on board. We are curious what the outcomes will be in the coming months." The project follows from two others, namely: a biogas plant in BergheimPaffendorf, and a façade installation at the Lechwerke in Augsburg. With the inauguration of a new production facility in 2020, Heliatek is committed to actively shaping the future of a decentralized and decarbonized future. Following a successful test run on the Duisburg port site alone offers potential to use up to 10 million m² of façade and roof space for the production of solar energy. Since 2016, innogy SE has worked in cooperation with Heliatek GmbH, and has actively supported the preparation of Heliatek's market entry since then. Martin Neweling, Project Manager Group Strategy innogy SE, states: "We are pleased to have created another eco-friendly solar façade with Heliatek in Germany. The building exterior of duisport received a second skin, one that generates energy. With each new project, we gain experience in installation, and also in terms of handling. The current short installation time of just a few minutes per film is impressive." are honoured to have been chosen by Akuo for the largest floating solar system in Europe. This project developed under the specific constraints of the French CRE4.1 tender uses a competitive technical and economical solution, based on our low CO2 dual-glass monocrystalline PERC modules in combination with a Ciel et Terre floating structure.â&#x20AC;? â&#x20AC;&#x153;We trust this project will open doors to the further development of floating PV projects across France and Europe," he added. from -30 degrees Celsius (-22 F) to 60 degrees Celsius (140 F). The turnkey solution with the central inverter, transformer and auxiliary power supply, enables lower initial investment on installation and commissioning and caters to the complex requirements of the American grid code, making it the ideal solution for this remarkable project. The Neveda installations follow 2.75 MW of turnkey solutions installed by Swinerton for the first utility-scale solar plant in Wyoming in during September 2018. They are also being used for a 205 MW project in California's Central Valley. The EPC company Swinerton Renewable Energy is providing turnkey engineering, procurement and construction services for the project developer and asset management service provider Clenera LLC. “Swinerton is excited to partner with Sungrow to build this landmark project,” said George Hershman, President of Swinerton Renewable Energy. “Sungrow's proven performance track record and efficient commissioning features support the delivery of a high-quality product to Clenera and to the people of Nevada.” “We take pride in being a part of the 200 MW solar project and we are pleased to bring clean energy to the great State of Nevada,” said Jack Gu, President of Sungrow PV & Energy Storage Division. “The North American solar market is vital and full of opportunities and we are dedicated to providing excellent products and solutions from coast to coast as we charge toward a brighter future,” he added. ABOUT SUNGROW Sungrow Power Supply Co. Ltd ("Sungrow") is a global leading inverter solution supplier for renewables with over 79 GW installed worldwide as of December 2018. Founded in 1997 by University Professor Cao Renxian, Sungrow is a leader in the research and development of solar inverters, with the largest dedicated R&D team in the industry and a broad product portfolio offering PV inverter solutions and energy storage systems for utilityscale, commercial, and residential applications, as well as internationally recognized floating PV plant solutions. years lifetime, the solar park will reduce the countryâ&#x20AC;&#x2122;s CO2 emissions by more than 738,000 tonnes. The park is built in the vicinity of the North Sea Port in the municipalities of Borsele and Vlissingen. ib vogt acquired the permits of the solar park Scaldia in February 2018 from developer Solarpark Zeeland. HSH Nordbank provided 47 million euro of project finance to Scaldia to enable construction. Following two and half years of careful and considerate preparation and permit procedures, ib vogt constructed the project in just half a year. Energy and certificates of origin are sold to ENGIE Netherlands and marketed by Engie to its consumers under a long-term contract covering more than half the lifetime of the project. Scaldia has a capacity of 54.5 MWp and covers an area of 38 hectares with more than 140,000 solar panels. The solar panels are positioned east-west for optimal use of land and for power generation. In total the solar park delivers 51,000 MWh of renewable energy annually for 30 years, which is the equivalent amount of energy consumed of approximately 14,000 households. ABOUT IB VOGT GMBH Established in 2002, ib vogt GmbH focuses on developing and delivering high-quality large-scale turnkey PV plants worldwide. As a manufacturer-independent integrated developer with a strong worldwide network of local development partners ib vogt provides high-quality turnkey PV plants, designed and engineered in Germany, to end investors internationally. Since 2009 the family-owned company has realized plants with a total rated capacity of over 846 MWp worldwide. Headquartered in Berlin, Germany, the company has business operations in 59 countries, including offices in UK, USA, Australia, Panama, Poland, Spain, India and South East Asia, as well as several joint ventures across Africa. Australian water cleaning system prepares for Asian expansion An Australian company is preparing to ramp up production of its unique water disinfection systems following the success of pilot projects in Asia. Article by Andrew Spence After rigorous testing and the successful completion of field trials in India in 2018, South Australian company Hydro-dis is awaiting signoff on its system from the Mashelkar Committee, which will give it approval to roll out its technology across India’s 27 states. The water treatment systems can be built to various sizes and can disinfect up to 3 million litres of water a day. They are designed for use in remote villages to make water safe to drink and can also be used to treat wastewater for non-potable purposes such as irrigation or vehicle cleaning. Headquartered in Adelaide, Hydro-dis has been working on its technology since 2001. CEO Mark Carey said the Hydro-dis technology did not require additional raw materials such as gas because it used minerals and salts already in the water to fuel the process. It can be designed to be solar powered or run by mains electricity Hydro-dis’ treatment technology uses insitu electro-catalytic generation of chlorine to disinfect water and can be used for various industries to treat potable, non-potable and wastewater. The unique technique creates chloride ions from salt already present in the water even when it is present in very small amounts, making it suitable for freshwater and saltwater sources. Five units are operating in rural areas in Australia, another two are being built and six units have been shipped to India and Malaysia in the past six months. “The Australian market is still a good opportunity for us but the volume will come from Asia,” Carey said. “Based on the interest that we are getting we are gearing up to pull the trigger on high production numbers.” The interest in India began in 2016 on a visit to Rajasthan – a sister state to South Australia – which led to a partnership with the Rajasthan Centre of Excellence in Water Resources Management and a demonstration plant at Malaviya National Institute of Technology in Jaipur. Overseen by MNIT’s Professor of Civil Engineering A B Gupta, the trial was signed off in February 2018 after achieving the project outcomes. The data for regulatory approval has been submitted to the Ministry for Drinking Water and Sanitation. India’s Mashelkar Committee is also doing its own field inspections and lab testing. A second solar-powered demonstration unit has been trialled in Bengal. Carey said he hoped the regulatory approval would be granted early in the very near future, creating an initial wave of commercial orders. He said while disinfecting drinking water supplies in remote villages was the main target in India, there was also interest in other applications such as treating wastewater to wash municipal bus fleets that previously were cleaned with precious potable water. “We designed it in Australia for rural and remote communities and the Outback towns where disinfected water is needed so it fits well into the small community and village level water disinfection requirements throughout Asia,” Carey said. The Hydro-dis pilot plant at MNIT in Jaipur, Rajasthan. 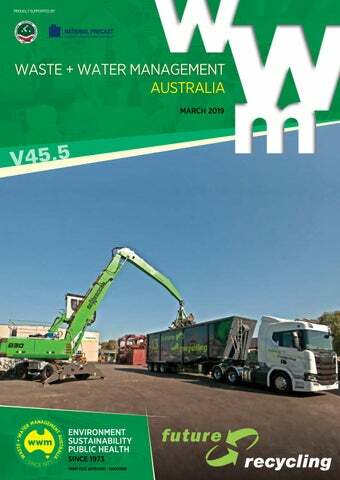 Did you know you can access the latest issue of Waste + Water Management Australia via Informit? The Informit Engineering Collection is an ever expanding resource covering aspects of waste and water management – recycling, greenwaste processing, waste minimisation, planning, safety, water treatment and water sensitive urban design. The database offers an extensive variety of resources including journals, trade publications, reports and conference proceedings. PRODUCT FOCUS HRS produces evaporation-based concentration systems for a wide range of different materials from brine and wastewater to slurry and sewage. •	HRS scraped surface evaporation systems - When concentrating fluids with elevated viscosities (which lowers heat transfer) or those which have a higher fouling risk, such as organic solutions with high dry matter concentration, HRS uses the HRS Unicus Series of scraped-surface heat exchangers. •	HRS Digestate Concentration System - The HRS Digestate Concentration System (DCS) is specifically designed to reduce the volume of digestate from anaerobic digestion (AD) systems. In most situations the process utilises surplus heat from the CHP engine. The DCS works by superheating digestate in a vacuum to facilitate concentration, using evaporation to significantly reduce digestate volumes while, at the same time, increasing the nutrient content and commercial value. The HRS DCS is a multi-effect system, in which the steam produced from this first heating cycle is re-used as the heating media for the second, and subsequent, effects. The number of effects is determined by the level of dry solids required, and the amount of spare heat available, up to a maximum of four cycles. After the final effect, the steam is condensed back into water and can then be used to dilute feedstock going into the front end of the digester, creating a completely closed loop system. The DCS is wholly self-sufficient – no energy or water is brought in or wasted, and everything is re-used. HRS uses two technologies to maximise energy efficiency within its range of evaporation systems: •	Multi-effect evaporation - These systems combine various evaporation stages. The evaporated steam obtained from a previous stage is used as the thermal energy source for the resulting stage. Multiple stages can be combined to reduce the energy consumption needed for the total amount of water evaporated. •	Mechanical vapour recompression (MVR) - In these systems, an additional compressor is used to increase the pressure and temperature of the water vapour or steam, which also provides the thermal energy source for the evaporation process. The only additional energy required is the electricity to power the compressor. This replaces the thermal energy used for evaporation with electrical energy and therefore increases efficiency. •	Thermal vapour recompression (TVR) systems - When configured in a TVR setup, high pressure boiler steam is combined with the recovered (evaporated) low pressure steam in a thermocompressor. This maximises the use of the recovered steam and provide considerable energy savings when compared with the use of boiler steam alone. All of HRS Heat Exchangers’ waste concentration systems are designed specifically for each application and the client’s needs, ensuring the greatest levels of effectiveness, efficiency and return on investment. NATIONAL PRECAST ANNOUNCES NEW SERVICES, MEMBERSHIP FEES AND BOARD OF DIRECTORS National Precast’s Precaster membership offers Australian precast manufacturers valuable resources, support and exposure to take their business to new heights and in November 2018 the organisation announced the details of a major overhaul. This includes revised membership fees, new services, and a new Board of Directors. National Precast’s Chief Executive Officer, Sarah Bachmann, says that with a change in membership category structure and a solid package of services now on offer, membership is continuing to grow. “Our work stands out for all the right reasons as we strive to promote, protect, and empower the precast industry,” Ms Bachmann comments. •	Case Studies Precaster members can have five project case studies written for them every year. Once finalised, members are provided with 20 printed copies, which can be distributed to existing and potential clients. Many members use these as a part of their tender submissions. These case studies are also supplied to National Precast’s media partners for publication in a range of national and international magazines. Publications such as Roads and Infrastructure Australia, Built Offsite, Construction Engineering Australia, and Build Australia are just a few examples. These magazines – and member project case studies – are read by thousands of builders, architects, and engineers. As well as the new services, National Precast is appointing State Co-ordinators for each state. Part of this role is to organise informal gatherings for local precasters and their suppliers, and liaise as a regular conduit between precasters and the CEO. “National Precast is about adding value, whether that is to our members as they run their businesses or to the broader industry,” Ms Bachmann says. “That can mean helping precasters to solve problems or helping designers to understand precast’s sustainability benefits and the ever-evolving aesthetic options. The new package of services now available to precasters really stacks up and gives a very positive RoI.” Precasters wishing to find out about National Precast membership should visit National Precast’s website at https://nationalprecast.com.au/member-page-1/ or contact Sarah Bachmann on 0414 880 351. SWEEPING LEADERSHIP CHANGES FOR THE NATIONAL PRECAST BOARD 2018’s Annual General Meeting saw the biggest change to the National Precast board in its 27 years of operation. Goodbyes were said to inaugural Board member Matt Perrella (Delta Corporation), as well as to Peter Healy (Hollow Core Concrete) and Glenn Degenhardt (formerly from Humes). Reappointed were Kevin Crompton (Ultrafloor), Craig Zinn (Stresscrete), Ian Coulter (Precast Concrete Products), Graham Underwood (Rocla) and Michael Waeger (Waeger Precast).This new Board term welcomes new Board members Paul Adams (Humes), George Spiropoulos (Euro Precast), Daniel Coutts (Austral Precast) and Riccardo Musella (Reinforced Earth). Pictured above (L-R): Michael Waeger, George Spiropoulos, Kevin Crompton, Graham Underwood, Daniel Coutts, Sarah Bachmann (CEO), Craig Zinn, Ian Coulter, Riccardo Musella and Paul Adams. We now are present and available in Australia ! • Reduced	maintenance • No	connexion	to	the	grid • Total	autonomy	in	solar	version • Low	energy	consumption	in	electrical	version • Optimal	mixing	capacity • Easy	to	install	on	all	sites • Robustness	and	durability • Non	resuspension • Non	additional	mud	production • Up	to	50%	COD	/	BOD	treatment SUNGO	is	a	vertical	mixer	which	allows	it	to	mobilize	all	of	the	water	column	as	opposed	to	a	conventional	system	which	mobilizes	portions	thereof. developing sophisticated techniques for proving their performance. Given that one of the primary functions of coatings is to protect assets, these advancements are a good thing. Dr Skerry was also a co-author of a 1983 study of ‘Corrosion in Australia.’ That study found that the cost of corrosion in Australia was equivalent to 1.0 per cent of Australia’s GDP. It noted that improved technology transfer and implementation could potentially recover a large portion of the corrosion costs. At the completion of Dr Skerry’s keynote presentation, Professor Derek Northwood, from the University of Windsor in Canada, asked a pertinent question that set a number of hares racing in my mind, pinballing against the inside of my skull and foreshadowing significant anguish. He asked about our progress as a corrosion community. He acknowledged we had gained a great deal of knowledge since the Cherry Skerry Report of 1983, but asked whether we have been successful in changing our industries and reducing the cost of corrosion? Good question. Professor Northwood was no doubt cognisant of a series of studies into the cost of corrosion. Most of these focused on the financial cost which is estimated in specific countries to be about 3 per cent of GDP. While there are only a small number of studies, there is little evidence to show that the cost of corrosion is decreasing. In 2016 the IMPACT Study conducted by NACE International concluded that the annual global cost of corrosion was US$2.5 trillion, equivalent to 3.4 per cent of the global GDP. The study found that 15-35 per cent of the costs were avoidable using currently available corrosion control practices. That’s a remarkable sum at US$375-$875 billion. The BIG question rattling around inside my head was ‘WHY?’ Why have we failed as corrosion engineers in our crusade against asset decay? Why is the cost of avoidable corrosion so high? Not to mention the indirect costs such as loss of production and, in extreme cases, loss of lives. The Mina Al-Ahmadi Refinery fire in Kuwait in June 2000 resulted in six deaths and caused US$4 billion in damage. It was found to have been caused by vapour cloud explosion due to a corrosion leak in a 10-inch condensate pipe. There is no doubt that corrosion engineers around the world are working tirelessly to prevent such events. The answer to the rising cost of corrosion was found in a theme running through these studies that stretches back to 1983 and even back to studies in West Germany and the United Kingdom in 1969 and 1970. Corrosion control technology and techniques exist to reduce the amount of corrosion. A small population has detailed knowledge of those technologies and techniques but dissemination of that knowledge has been like honey through filter paper – a slow trickle. Some knowledge has filtered out to a larger diameter of engineers and scientists and some proactive outsiders have sourced rich veins of knowledge directly from the honeypot. But a large portion of society demonstrates a low level of corrosion literacy, including managers, asset owners, business owners and consumers. In many quarters, there is an agnostic lack of awareness, but some behaviour can only be described as deliberate apathy. The ACA’s own study into the ‘Corrosion Challenges in the Australian Urban Water Industry’ in 2010 found that the annual cost of corrosion was AU$982 million. The report identified several opportunities to reduce the cost of corrosion. Some of the most significant recommendations relate directly to the employees within the water industry. The first relates to corrosion training. It was found that there was a significant amount of training available to workers but that this training included minimal corrosion content and no competency units that specifically related to corrosion. It was identified that corrosion training at all levels of employment would enhance the performance of the water industry. Corrosion knowledge would improve design, improve data capture, improve asset knowledge and improve decision making. The report goes on to make two further recommendations. The first is that it should be mandatory for designers and auditors in the water industry to demonstrate a minimum level of competency in corrosion understanding before being accredited. The second is to introduce specific regulatory or legislative requirements for the design and operation of critical infrastructure – that is, where failure of that infrastructure will be catastrophic to public health and safety or to the environment. Such measures would be advantageous for many other industries also. Clearly there is an opportunity for a proactive bunch of evangelists willing to share the good gospel of corrosion prevention. There is a need for corrosion awareness to infiltrate all levels of political and corporate thinking from government to the stock market to the production line. The most common measure of corporate success is the annual profit statement. Increasingly, there is recognition that financial success is not always the best outcome for the advancement of humanity. The corrosion engineer is interested in the life cycle of an asset, not just the capital cost. There is an opportunity to partner with asset owners and operators to attain a higher level of corrosion knowledge and consider longer reporting cycles. Then, I am sure wiser investment decisions can be made. One day, when I am inspecting my coupons on Mars in my mithril space suit, designed by the random alloy generator from Monash University, I will have the opportunity to look back at Earth through my telescope. I hope I will see a vibrant, active and beautiful planet where communities are thriving. Because then I will know that someone, somewhere listened to a corrosion engineer. That will be the ultimate measure of success. recycling and PEF needs and refused to allow our materials to be imported. I also noted that those of us who were around, remember well the panic when the GFC hit and scrap fell from $400 plus per tonne to an unwanted commodity almost overnight. Nobody wanted it, let alone plastics, tyres, cardboard and paper. We had already seen that China had banned the import of end-of-life tyres from Australia and that might just expand to other products and other countries. It’s fair to say that I got a fair bit of response from that article, however, our process did little to change… and so now we find ourselves trying to deal with the China National Sword policy. Once again, the waste industry is trying to clean up after someone else’s mess. “But that is their job” I hear you cry… but is it? Is it really our job to try and fix the mess from bad manufacturing practises and poor policy? I have never seen a bottle filler or a packaging manufacturer fined because of stockpiles of their products that have been recovered but, for lots of reasons, are struggling to be able to be reused. One way single-use glass bottles I remember way back in the 80’s I used to go to a facility in Adelaide’s inner-west that washed bottles and returned them to the bottle fillers for reuse. I remember going in there one day and he advised me that this was their last week, and as of that Friday, the site would close. As they had lost their contracts, the industry was moving towards light-weight, single-use bottles. Prior to this change, bottles weighed average about 320 grams. Today, they can weigh as little as 120 grams. The industry will tell you that is a huge saving on materials energy and transport costs… which on the surface, it is. However, considering a whole-of-life environmental cost, the heavier washable bottles would last more than 20 times through the cycle of fill / sale / use / recover / wash and back for fill again. I suggest that that would be a significantly better environmental outcome than that of the transport savings achieved through the use of the lighter bottles. Why is this an issue in the 21st century? Because we are currently seeing and have for some time, massive stockpiles of single-use glass. With most schemes having a recycling component to achieve the 10c deposit, the industry is starting to see a frantic search for beneficial reuse of these materials. After all, unless they are recycled, the MRF is not able to recover the deposit, once again the onus is on the industry, not the bottle filler. Where is their responsibility in the chain of responsibility? It isn’t beyond the realms of thinking that even very clean well-presented glass will soon overwhelm our current beneficiation plants and glass manufacturing capacity. Indeed, this may have already happened. Current alternative thinking includes bedding sand, asphalt fillers and the like, with some being used in the glass manufacturing process. The problem is that there are just far too many bottles being recovered, and the current markets are not big enough. Neither is the recovered value sufficient to cover manufacturing costs. Meanwhile bottles are continuing to be manufactured, with Australia consuming about 1.36 million tonnes per annum. for the beneficial reuse of the returned materials. Then, and only then, might these businesses take responsibility for their manufacturing and packaging materials. Final thoughts – Things I think we need to consider After all the years that the community has been moving away from a landfill focus for waste management, there’s no doubt in my mind that we have made a number of mistakes. Three that are a stand out in my mind are: •	Diversion from landfill at all costs: Our focus on managing waste has been too closely based around the philosophy of diversion from landfill. If we are to measure our success by diversion, we have done extremely well, however, if we changed the metric to how well we have created an environmental outcome where we process and beneficially use EOL materials; by that measure, the outcome would be totally different. •	Is the MRF really the answer? The second area I think we are guilty of, is believing and selling the dream that the MRF is the answer to everything. In many instances, I believe that has caused both the industry and consumer to become somewhat lazy. I will shout it to anyone who will listen: ‘the best value commodities are those that are source separated’. As someone who has worked around MRF’s for many years, I believe that they are a great tool. But it’s very hard and time consuming to unscramble the egg - especially when it’s been really well scrambled. MRF’s have a place, but they can only work as well as the materials presented. Is it time - with CDS/CDL - to consider if these products should even go into the kerbside recyclables bin (yellow Lid). I can hear the MRF screaming at me ‘you know that’s the best source of revenue we have’, but the stockpiles of broken glass suggest that it also causes a lot of grief. The best commodities come from the CDS/CDL collections facilities. They are clean, well sorted, caps off, and must I go on? in all the waste management disciplines and has extensive experience and a proven working knowledge of the current waste management sector with its nuances, legislative policies, opportunities and challenges. Mike is highly regarded for his skills in waste management strategy, direction and implementation. In 2010, He established a small business consulting to the recycling industry with a focus to take the skills and knowledge he has developed into the wider field as a consultant to Local Government, Waste and Recycling Companies as well as the Regulators. GET SMART! KEEP SEDIMENT & SUSPENDED SOLIDS OUT OF DRAINS, TRADE WASTE AND GUTTERS From plaster sediment and non-toxic laboratory sediments and residues, through to sands, soils and even concrete washout sediments, the award-winning, Australian-designed Smart Sinks™ provide a highly-effective, affordable and easy-to-use method of preventing sediments and suspended solids from being washed into drains or disposed of on-site in gutters and stormwater side entry pits. Avoid costly drain blockages and the risk of penalties for non-compliant disposal of liquids and sediments with Patented Smart Sinks™ technology. For further information on the Smart Sinks™ range, CALL US TODAY on 07 5488 4154 or visit: www.smartsinks.com.au for a full video demonstrations of Smart Sinks™ in action.